Kayla Conley helps entrepreneurs, business leaders and members of the public to give amazing speeches and presentations so that they can connect and engage with their audiences, raise their self-esteem and network more effectively. Kayla gives her clients the necessary tools to deliver confident speeches by evaluating their content, poise and gestures and giving them the necessary tools to deliver a fantastic presentation that will make them and their audience proud. Of all the different forms of marketing and communications, public speaking builds the most trust and credibility in the shortest amount of time. Some people love it. Some people hate it. Whatever the case is for you, the chances are you’re already doing it and you’re doing it more than you think. It might be in small ways and to only a few people, but however you do it, public speaking is simply about sharing a message and delivering it really well. My guest in today’s podcast is public speaker extraordinaire, Kayla Conley. Kayla has been public speaking since she was 10 years old (it’s a fascinating story) and she’s been a member of Toastmasters for 7 years. 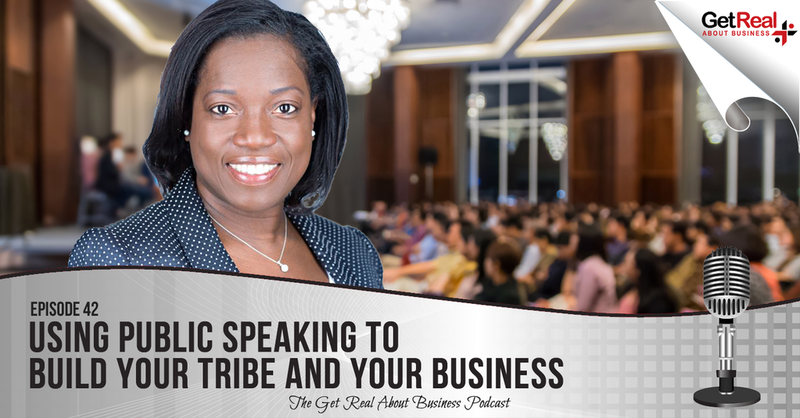 In this episode, I get Kayla to share her top tips on how to connect with your audience, how to structure a short talk to give at a local networking event and the things you need to do in order to make the best possible impression. However much or little experience you have with public speaking, you’re bound to pick up a tidbit or two. In fact, you might find it interesting as you listen to this podcast to pay attention to how Kayla uses stories as part of the conversation. She’s really, really good at sharing stories, which is a mark of a great speaker. One of the things I found particularly interesting in my interview with Kayla was her tip about box breathing. In a nutshell, boxed breathing is a breathing technique used by singers, speakers and actors to help control their nerves and deliver their speech with power and presence. Kayla's tip piqued my interest so I did a bit more research on the matter. It turns out there is lots written on the subject and various studies have been conducted. If you'd like to find out more yourself, here's Belisa Vranich speaking about breathing technique in a TedX talk. Enjoy!" If you've enjoyed this episode and want to find out more check out my podcast with Dustin Mathews on How to Deliver Powerful Presentations. It's really worth a listen. Special thanks to Kayla Conley for joining me this episode. Until next time!